Needing a lawyer is something most people never consider until they are faced with true or perceived catastrophe. Selecting the right lawyer can be a difficult task and selecting the wrong lawyer can be disastrous. Therefore, you should always be mindful of your prospective lawyer’s experience, areas of concentration and ability to advocate your legal position. Understand what distinguishes some lawyers from others. Take the opportunity to consider questions to ask prospective lawyers. Call Ferrara Law Offices, P.C. for a free consultation. Unlike the general practitioner, attorney Robert F. Ferrara is a trial lawyer who limits his involvement to cases in which resolution of the conflict will invariably involve courtroom battles and/or intensive pretrial preparation. 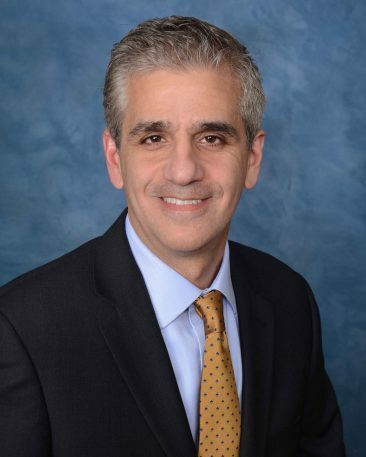 As a trial lawyer, attorney Robert F. Ferrara principally participates in catastrophic serious injury claims, involving complex subject matters and sophisticated damages. Ferrara Law Offices, P.C. generally focuses the firm’s practice on matters involving personal injury claims, product failures, insurance Bad Faith, commercial trucking accidents, highway design failures, architectural and engineering defects and failures, liquor liability claims, professional negligence, product failures, automobile accidents, motorcycle accidents and a variety of other complex litigation. Robert F. Ferrara has achieved outstanding results in the protection of his clients and their families. The selection of a trial lawyer is a serious decision. Robert F. Ferrara has proven experience and results in participating in complex multi-million dollar lawsuits, thinking outside the proverbial box and using the law to craft justice. Significantly, most complex litigation handled by Robert F. Ferrara is generally referred by past clients and other lawyers, all of whom have witnessed a relentless advocate who simply refuses to lose. Ferrara Law Offices, P.C. is a Media, Pennsylvania based Pennsylvania trial law firm with a focus in complex litigation and the representation of catastrophically injured victims in the Pennsylvania Counties of Delaware, Philadelphia, Chester and Montgomery. Ferrara Law Offices invites all prospective clients to take advantage of a free no-obligation consultation so that you can make an informed, well thought-out decision in the selection of your attorney. If your case or potential case does not fit within the criteria of the firm’s practice, Robert F. Ferrara, through his experience and professional network, will most likely be capable of placing you with other highly qualified lawyers and law firms who may be a more suitable fit. Thank you for taking your valuable time to visit Ferrara Law Offices, P.C. Please feel free to familiarize yourself with my areas of practice, background and results in matters I have participated in serving my clients. My goal is to distinguish myself from all other lawyers, offer personalized service while delivering hard-hitting results, and treating my clients like family. Please feel free to call me, day or night, for a no-obligation free consultation.